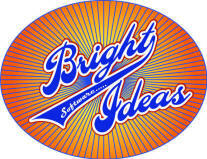 BRiGHT Ideas Software has been providing quality, professional website services to our customers since 1995. We are web site designers with experience in software development, web databases, e-commerce, e-newsletters, marketing and graphic design. We have helped a wide variety of businesses and organizations to establish and improve their presence on the web that reflects their identity and promotes their business and marketing objectives. Let us help you market your business or organization on the web.